Two new releases from Leafwerx are available for a limited time only! 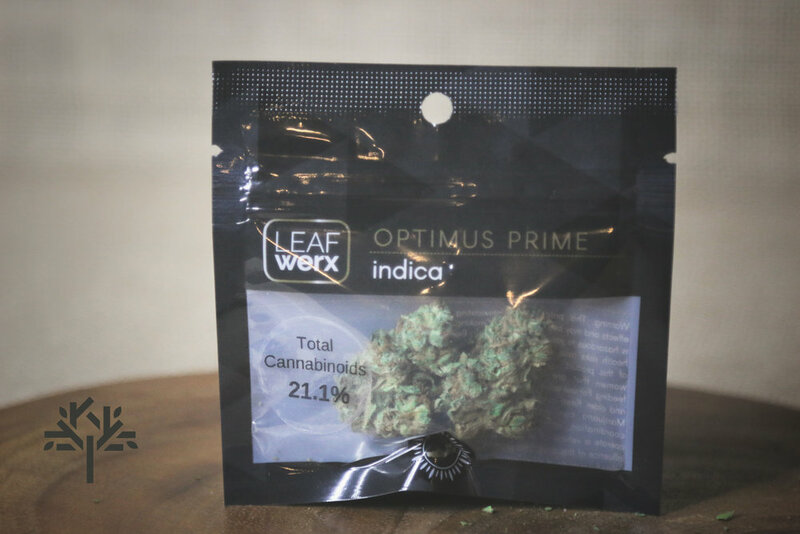 Kirkwood and Optimus Prime are small-batch premium grade cannabis buds, grown and cured to perfection. Our sample bag contained dense OG Kush-style nugs with just enough moisture in them to crumble down nicely, no dust. Smooth and full-flavored. A true connoisseur toke. Much stickier than its counterpart, the Optimus Prime nugs in our sample bag were beautiful. Grape flavors shined bright. A deliciously appealing ganja bud. Come check The Novel Tree out at our easy to access cannabis dispensary with free parking in Bellevue, Washington! We offer 100's of the best cannabis products for adults 21+. Our knowledgeable budtenders are happy to guide your cannabis experience as little or as much as you desire. Novel Tree budtenders undergo at least a 40hour in-house cannabis educational program and participate in daily ongoing training. Ask them anything! We're convinced that our budtenders are the best full service cannabis leaders in the world to purchase recreational and medical cannabis from. The Novel Tree - If we wouldn't consume it ourselves, we wouldn't sell it.